Today is Mardis Gras… and in Italy it is the last day of Carnevale. Carnevale is one of the festivities I miss the most. As a child, I loved going around the streets in my town all dressed up, playing pranks and throwning coloured confetti at my friends. The best time of all was the parade of the floats… we used to have so much fun. And then, it also helped that Carnevale always happens around my birthday (which, in this case, was yesterday! )… so I used to have dressing up parties to celebrate. Another thing I love about Carnevale is the food. As it happens just before lent (a time when, traditionally, Catholics eat less or at least give up some of the richest foods), the food is always decadent… and often fried. I have already shared a few typical recipes on the blog like Chiacchiere (which I make every year for my kids), Tortelli, Ravioli Dolci, Bomboloni… all fried. 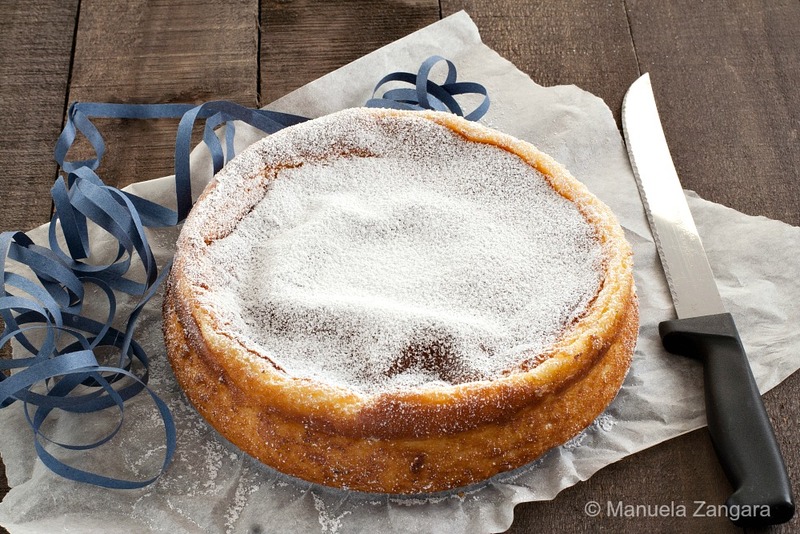 So, this year, I want to share something a bit different: a cake called Migliaccio, typical of Naples and the surrounding areas. 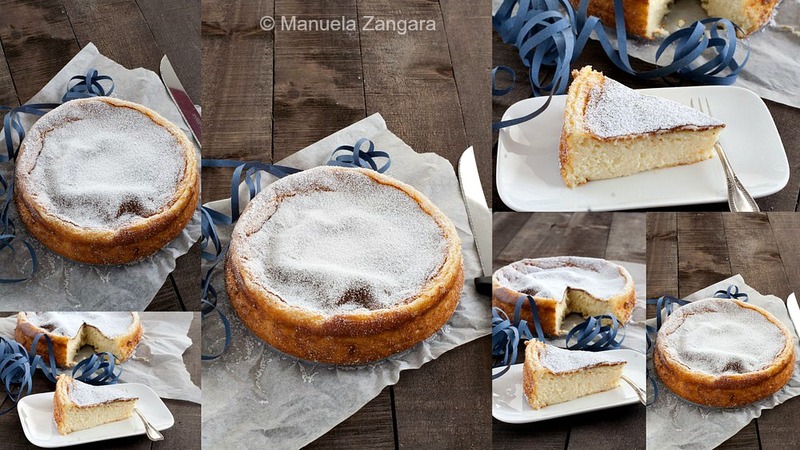 It is very similar to a baked cheesecake in consistency and it is made with ricotta and semolina instead of flour. 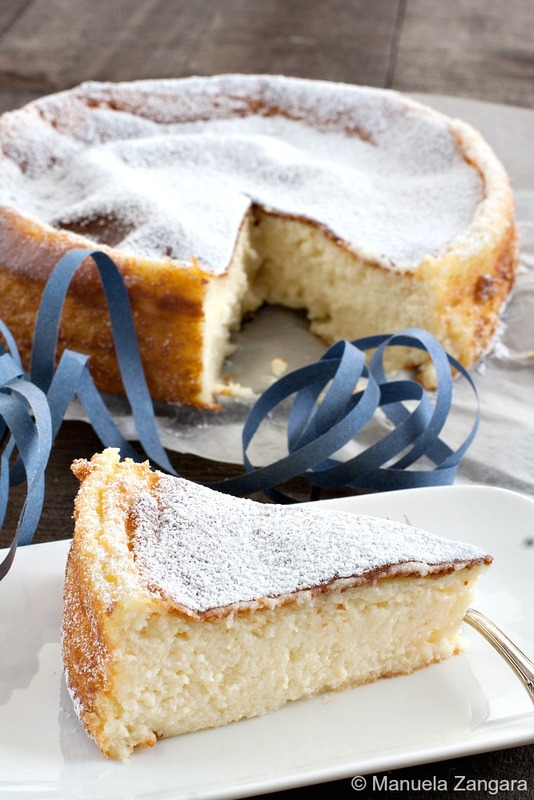 It is very moist and creamy and it has a subtle lemon taste. It is delicious and very easy to make. Try it and let me know! Buon Carnevale everyone! 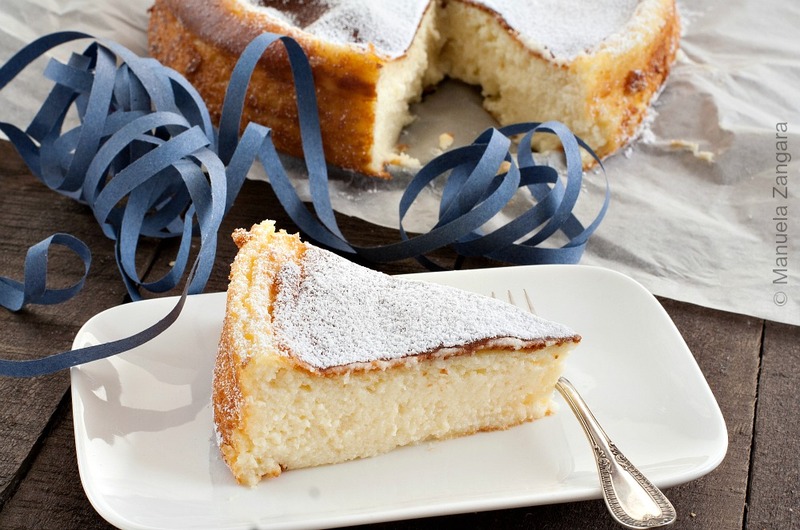 Migliaccio - a traditional semolina and ricotta cake made in Naples for Carnevale. Put the milk, water, butter, salt and lemon peel in a pot and bring to a boil. Remove the lemon peel and add the semolina while continuously stirring. Cook the semolina for 10 minutes (keep stirring!). If you get any lumps, use a stick mixer to remove them. Let it cool down a little. In the meantime, whisk the eggs with the sugar. Add the ricotta, vanilla extract and Limoncello (if you use it) and whisk well. Add the lukewarm semolina to the ricotta mixture and whisk to combine. Pour the batter into a greased 22 or 23 cm – 9 inch round springform pan. Bake in a pre-heated oven at 180°C – 355°F for 60 minutes. It will be slightly wobbly, like a cheesecake. Any possibility of putting your recipe on a printable 1 page like so many other recipe sites? It would make it even better. Keep up the good work. Aww…why was it so much more fun before than this world of gadgets and virtual stuff?! But thanks for the memories, you are able to share this cake that’s another new and perfect match for our afternoon cuppa! Omg! This looks beyond amazing! I can almost feel the texture from the photograph. Just lovely… If only u lived in India. Sigh! Hi Manu, this looks so good, but I am gluten intolerant and wondering if I could substitute a finely ground polenta for the semolina…any thoughts? Yesss you can make it with fine corn flour. The method is the same. 🙂 Let me know how it comes out! Just tried this recipe last night and substituted all-purpose flour for the semolina, it came out tasting amazing but not as thick looking, which is probably due to me not using the semolina. Still, it was so tasty, light and creamy. Family and friends loved it!!!! when I added the semolina to the water and milk, it became very thick very fast – no way I could stir it for 10 minutes – did I do something wrong? Hi Roberto, Not sure why that happened, maybe the semolina was coarser than the one I used. Anyhow, it shouldn’t matter, you should still be able to bake it if it’s not too lumpy. 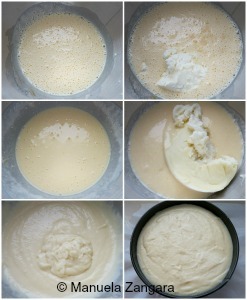 If you make it again using the same semolina, stir it just until smooth, then transfer it to the cake tin. I wanted to make this a couple days before a Christmas party, does it keep well? Yes, you can make it a couple of days before. It keeps well at room temperature, unless it’s very hot – in that case, you can put it in the fridge. like a regular cake. Can you tell me how it’s supposed to be? It’s perfect! It’s supposed to be wet and moist… sort of like a baked cheesecake. It sounds like you got it perfectly right! I hope you enjoyed it!